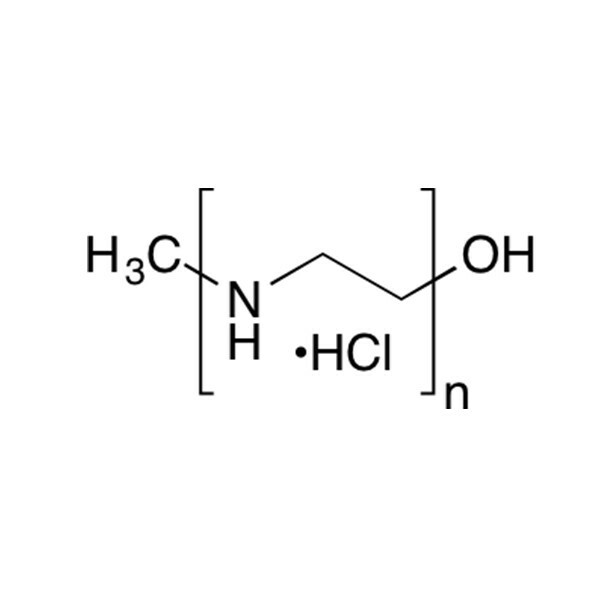 Polyethylenimine HCl, Linear, Mw 4,000 (L-PEI HCl 4000) is a fully hydrolyzed (deacylated), highly water soluble hydrochloride salt form of our Polyethylenimine, Linear, Mw 2,500 (Catalog # 24313). L-PEI 4000 is supplied as a hydrochloride salt for ease of handling and high water solubility. PEI 4000 can be converted into the linear free amine (L-PEI) form by neutralization with base containing longer contiguous ethyleneimine segments than L-PEI 2500.